16th anniversary of Denim Day at GUESS? Inc. Headquarters on April 29, 2015 in Los Angeles, California. Gabriela Martinez, Al Contreras, Oscar Gamino, Danetta Manifee, Sharleene Johnson, Nadine Hernandez, John Macchiarrella, Elia Vasquez at GUESS? Inc. Headquarters on April 29, 2015 in Los Angeles, California. Maya Jupiter greets Peggie Reyna at GUESS? Inc. Headquarters on April 29, 2015 in Los Angeles, California. 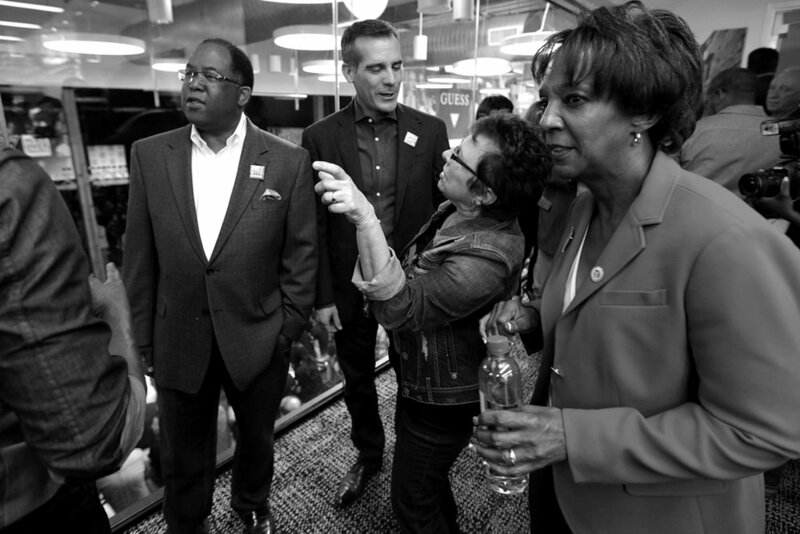 Supervisor Mark Ridley-Thomas, Mayor Eric Garcetti, Patti Giggans & District Attorney Jackie Lacey at GUESS? Inc. Headquarters on April 29, 2015 in Los Angeles, California. Maurice Marciano, Cathy Friedman, District Attorney Jackie Lacey, Mayor Eric Garcetti, Supervisor Mark Ridley-Thomas, Patti Giggans, Chief Charlie Beck & Paul Marciano at GUESS? Inc. Headquarters on April 29, 2015 in Los Angeles, California. Maya Jupiter and Aloe Blacc at GUESS? Inc. Headquarters on April 29, 2015 in Los Angeles, California. GUESS? staff and community members await for Denim Day Press Event at GUESS? Inc. Headquarters on April 29, 2015 in Los Angeles, California. GUESS? staff and community members at Denim Day Press Event at GUESS? Inc. Headquarters on April 29, 2015 in Los Angeles, California. Step and Repeat action with Chief Charlie Beck, Maurice Marciano, Mayor Eric Garcetti, Patti Giggans, Paul Marciano & Supervisor Mark Ridley-Thomas at GUESS? Inc. Headquarters on April 29, 2015 in Los Angeles, California. 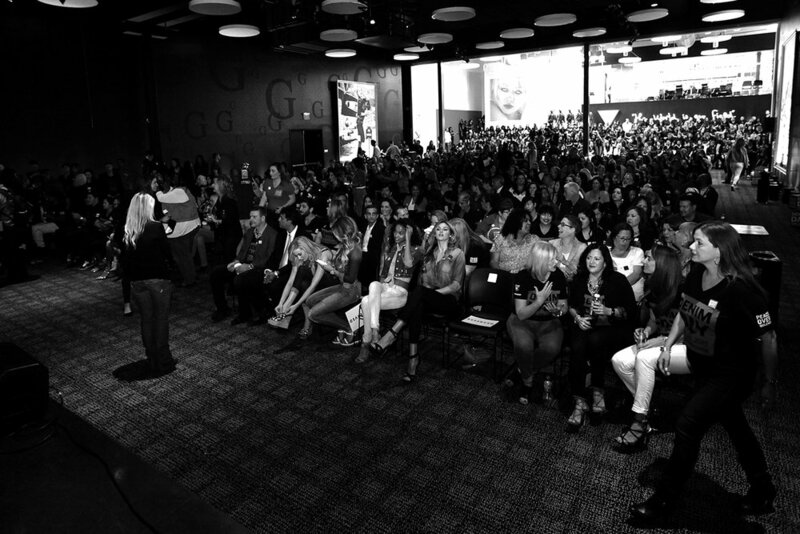 The audience at the Denim Day Press Event at GUESS? Inc. Headquarters on April 29, 2015 in Los Angeles, California. Natalie Pack and Jessica Raemy in the audience at GUESS? Inc. Headquarters on April 29, 2015 in Los Angeles, California. Paul Marciano addresses press and audience at GUESS? Inc. Headquarters on April 29, 2015 in Los Angeles, California. Patti Giggans acknowledges GUESS? 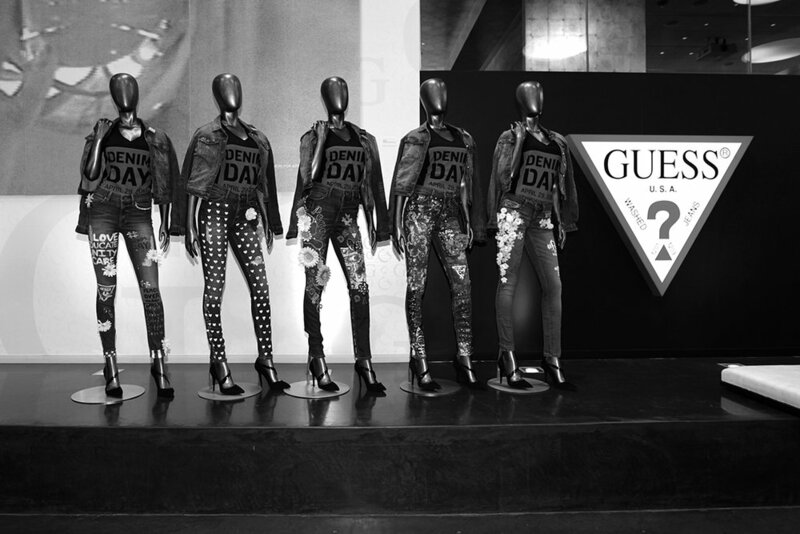 leadership during the Denim Day Press Event at GUESS? Inc. Headquarters on April 29, 2015 in Los Angeles, California. Mayor Eric Garcetti at GUESS? Inc. Headquarters on April 29, 2015 in Los Angeles, California. Chief Charlie Beck at GUESS? Inc. Headquarters on April 29, 2015 in Los Angeles, California. District Attorney Jackie Lacey at GUESS? Inc. Headquarters on April 29, 2015 in Los Angeles, California. Supervisor Mark Ridley-Thomas at GUESS? Inc. Headquarters on April 29, 2015 in Los Angeles, California. Denim Day Press Event at GUESS? Inc. Headquarters on April 29, 2015 in Los Angeles, California. Dani Williams-Jones shares her story at the Denim Day Press Event at GUESS? Inc. Headquarters on April 29, 2015 in Los Angeles, California. Aloe Blacc performs at GUESS? Inc. Headquarters on April 29, 2015 in Los Angeles, California. Maya Jupiter and Aloe Blacc, POV/Denim Day Spokespeople at GUESS? Inc. Headquarters on April 29, 2015 in Los Angeles, California. Maya Jupiter performs at GUESS? Inc. Headquarters on April 29, 2015 in Los Angeles, California. Maya Jupiter and Aloe Blacc perform at GUESS? Inc. Headquarters on April 29, 2015 in Los Angeles, California. Maya Jupiter, Patti Giggans, Aloe Blacc and Paul Marciano close the 16th Denim Day Press Event at GUESS? Inc. Headquarters on April 29, 2015 in Los Angeles, California. Mareva Marciano, Paul Marciano, Samantha Hoopes, Jessica Raemy, Patti Giggans, Natalie Pack, Simone Holtznagel and Maurice Marciano at GUESS? Inc. Headquarters on April 29, 2015 in Los Angeles, California. Paul & Maurice Marciano at GUESS? Inc. Headquarters on April 29, 2015 in Los Angeles, California. Maya Jupiter & Aloe Blacc at GUESS? Inc. Headquarters on April 29, 2015 in Los Angeles, California. Keziah Robinson, Patti Giggans, Kent Kiesey, Michelle Santucci, Linda Ruffer, Maya Jupiter, Aloe Blacc, Dawn Bey, Stanislav Gorbunov and Ruby Quallsgray at GUESS? Inc. Headquarters on April 29, 2015 in Los Angeles, California. Natalie Pack, Jessica Raemy, Simone Holtznagel and Samantha Hoopes at GUESS? Inc. Headquarters on April 29, 2015 in Los Angeles, California. Peace Over Violence held its 16th annual Denim Day on April 29, 2015 - the most successful to date! 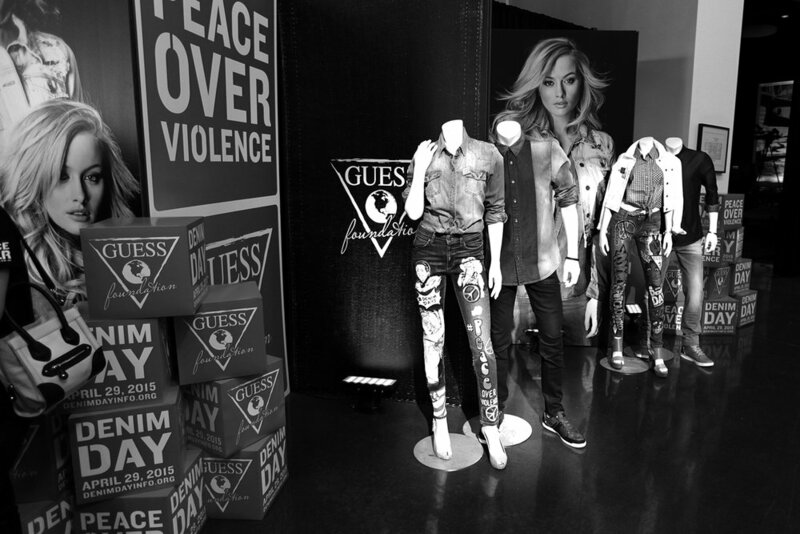 For the 2nd year in a row, a historic press event and rally was held at the headquarters of GUESS? Inc., the Official Fashion Sponsor of the campaign. This event featured GUESS? 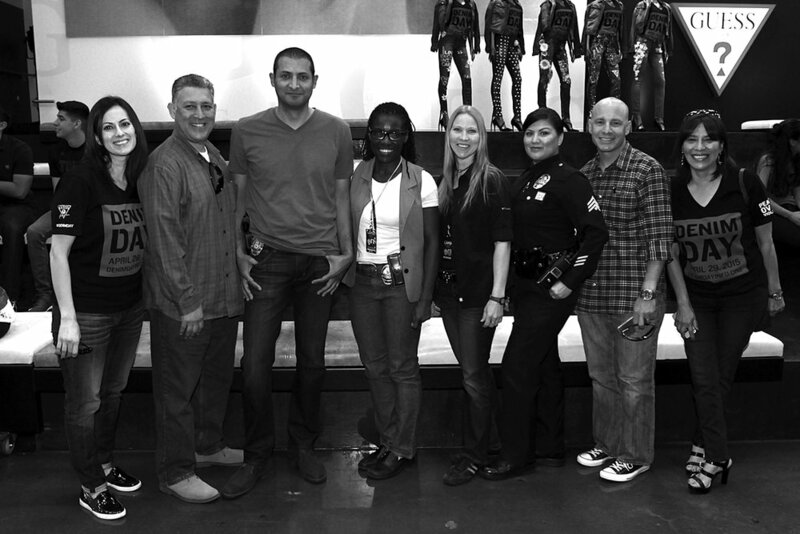 CEO and Chief Creative Officer Paul Marciano, Los Angeles Mayor Eric Garcetti, LAPD Chief Charlie Beck, Los Angeles District Attorney Jackie Lacey, LA County Supervisor Mark Ridley-Thomas, sexual assault survivor Dani Williams-Jones and POV's Executive Director, Patti Giggans. 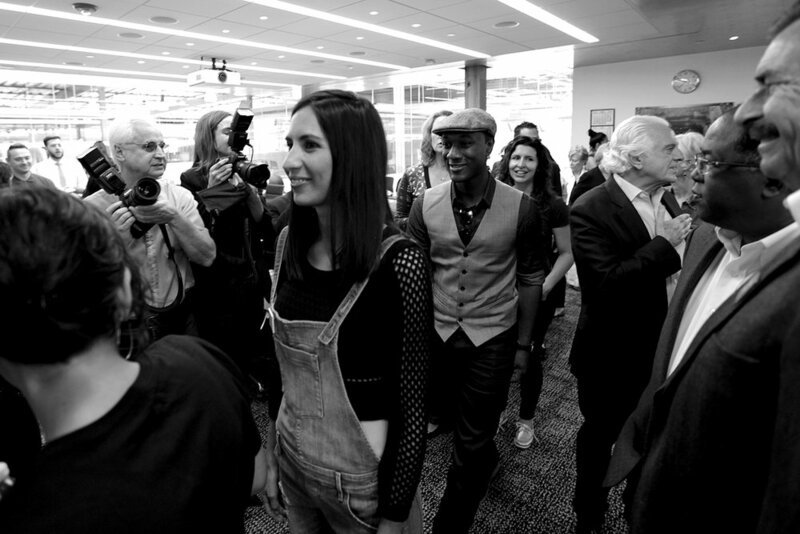 Denim Day spokespeople, singer/songwriter Aloe Blacc and artivist/emcee Maya Jupiter closed out the event with a special musical performance that included the debut of "Never Said Yes", inspired by the film "The Hunting Ground", a Denim Day call to action!